Developed by Ironhide Game Studio, Kingdom Rush Frontiers is a strategy game that requires you to defend exotic territories from ruthless enemies, such as man-eating plants, dragons and ghastly denizens. 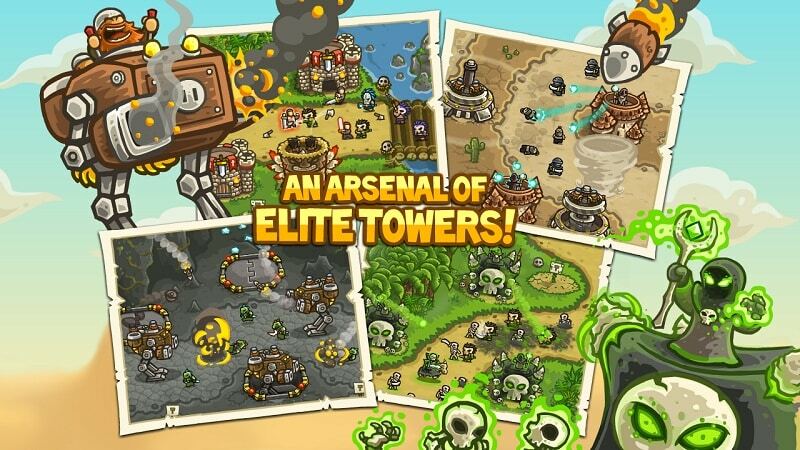 To defend the territories, you can make use of towers and heroes which are available with unique abilities. The game works with Android and iOS platforms, but it can as well be installed on PCs with the help of an Android emulator. The game presents you with over 18 tower abilities that you can unlock and defend the exotic lands. You can access some of these abilities from Death Riders, Assassins and Pestilence Clouds which can kill your enemies more efficiently. On the side of power-user elements, you can make use of Freeze Bombs, Reinforcements, Medieval Nukes and Meteor Strikes. In order to succeed with your heroes, you need to choose the best ones and train them. The heroes come with different specialties, and therefore you need also to select the ones that fit your play style. Some of the heroes that you should consider adding to your fighting squad are Dante (vampire slayer) and Bonehart (legendary undead dragon). In Kingdom Rush Frontiers, there are over 40 enemies possessing unique abilities and offering incredible challenge. You will come across Underground Terrors, Desert Sandworms, Nomad Tribes and Tribal Shamans that will definitely make you stay on your toes. Other enemies that you will face while defending the lands include: powerful Vampires, ferocious Werewolves, Ghosts of Lost Souls and face vicious Ghouls. When you are ready to indulge in the real challenge of this game, you can switch to Classic, Heroic and Iron game modes and challenge your tactical skills. There are even more difficulty modes like the Hard mode which comes with bloodthirsty enemies, but also with motivating features such as intoxicating charm, illustrated cartoon art and full-bodied voice-overs. You can make use of 8 tower upgrades to strength your tower and resist more attacks. Some of these upgrades include: Necromancers, Mighty Templars, Earthquake Machines and Crossbow Forts. You can easily stomp, sizzle and slice your foes when you have these upgrades in your tower. Waiting for your opponents to attack may not be a good idea in Kingdom Rush Frontiers, so it is recommended to initiate attacks on your enemies. After tapping your opponent’s tower, you need to click on the blue flag button, then on the battle zone to direct your fighters. When you are not sure of the enemies beforehand, you can click on the Wave icon and the system will provide you with reliable information that you can utilize to analyze your opponents. You will be able to know the weak points and strong points of your enemies- something which will help you make the right decisions. Playing this game on a Mac, desktop or laptop can be a great way to enjoy improved control and better viewing. If you want to play the game on your computer, you can use an Android emulator which will allow you access and download the game app on your PC. Sometimes when playing Kingdom Rush Frontiers, bluestacks ask you fee to pay but gives you option to download some apps. Every time it asks you just select “Install apps” and continue using it free. I hope you enjoyed this article, please rate and share. 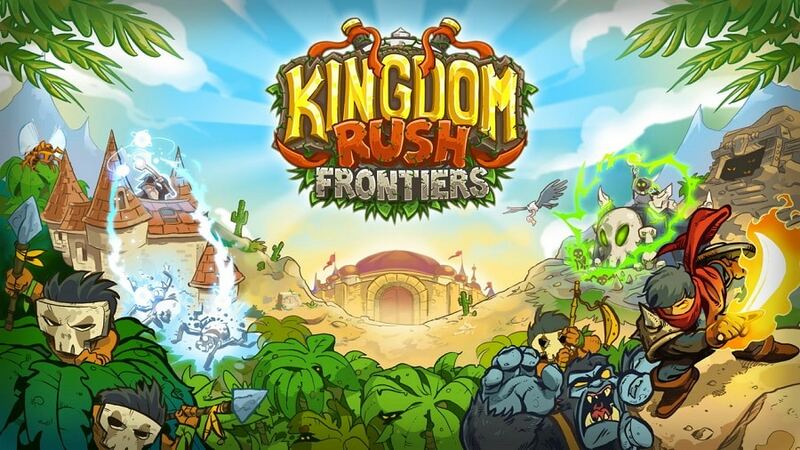 If you have problems running Kingdom Rush Frontiers on desktop or any other issues, leave a comment below.